Thanks to a generous sponsorship from Pactimo, we are rolling into our second season with a brand new team kit. And it’s rad! Golden yellow, shines like sun. Our first year as a team was, like most first years building something, insane. Our team kits (the jersey and shorts we wear), were born out of an 11th hour emergency situation with no time for color swatches or design versions or reviews. Basically, the company we had been working with for weeks to design and print our kits bailed on us at the last minute and we had only a few hours to find another company, redesign a kit and purchase everything in order to get the kits (rushed) to us on time. Needless to say, it was a stressful and less than ideal situation that had me putting in hours on work time (sorry boss!) to make this happen and avoid T-shirts with “Richmond Composite” sharpied on them for the first race. 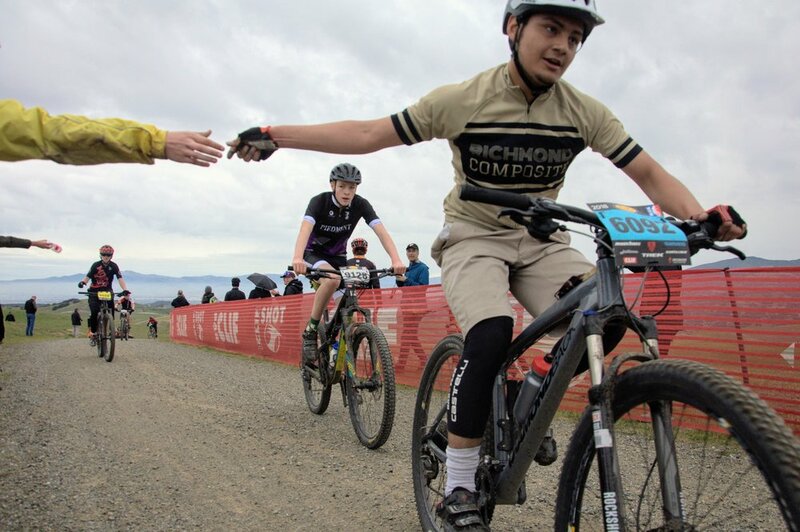 Harrison, seen here rocking a gel hand-up in the feedzone while wearing our year one jersey. Somehow we pulled off the kit last year in time for the first race, but I swore to never have that experience again. So this year, when Pactimo reached out to us to offer their support as a sponsor, I was thrilled and relieved. Working with them was a dream—clear, thorough, thoughtful, and their products are amazing. We updated the jersey color and some minor changes for year two to keep the design thread from year one. This kit POPS! It also looks amazing with mud all over it, which in my opinion, is how a mountain bike kit looks best. 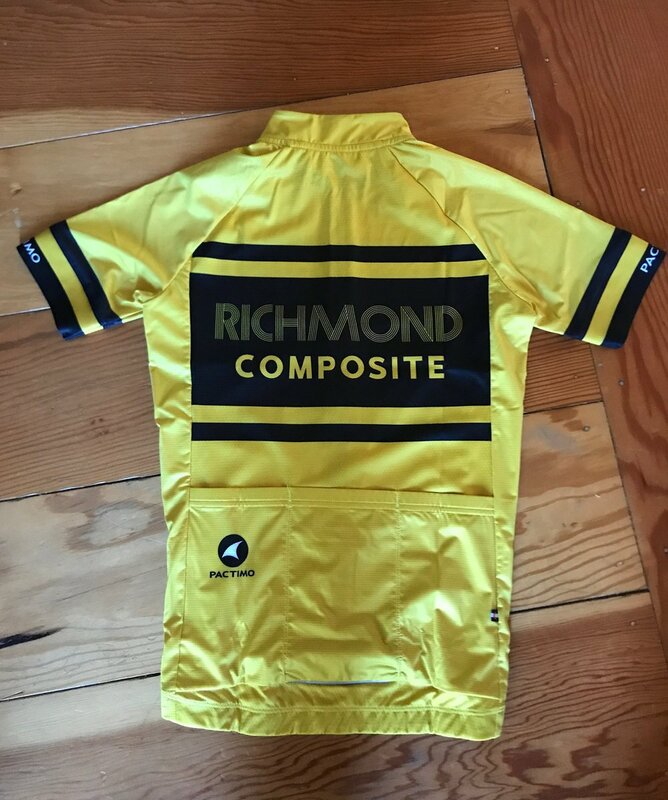 If you’re interested in purchasing a Richmond Composite team kit with this design, get in touch. We’ll be opening a store for the public soon and would love to see more Richmond Composite supporters out on the trail. See you at race #1 this weekend. Newer PostWhat’s this team about?